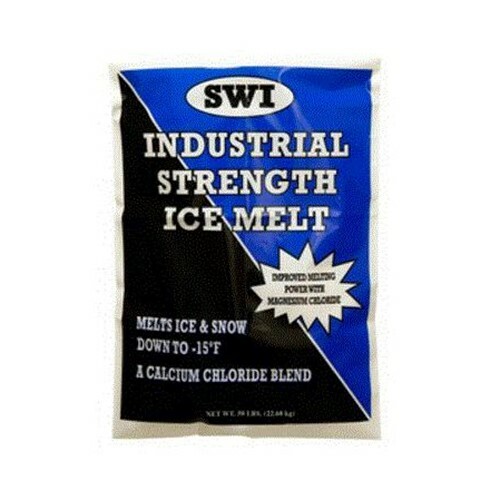 Industrial Strength Ice Melter. The 50 pound bag contains calcium chloride and magnesium chloride, the fastest dry de icers. Begins melting immediately upon impact generates melting heat fast. Melts effectively to 15 degrees below Farenheit. Needs fewer applications than rock salt. Safe on streets, driveways, sidewalks, steps and the environment when used correctly. Doesn ftt track and its odorless and colorless. 18 pallets for truckload, 9 for .5 truckload, 50 bags per pallet.